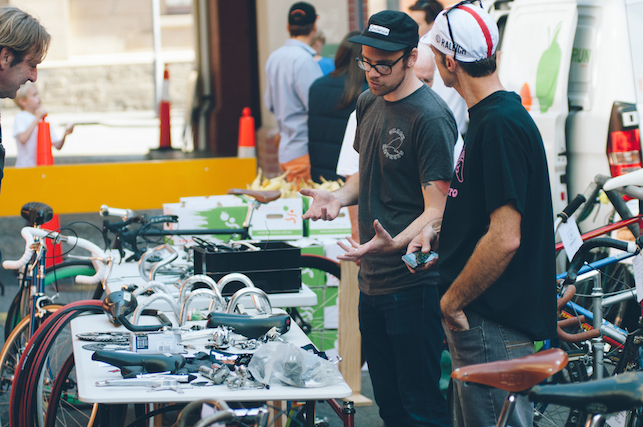 The First Sunday of the Tour Down Under week has quickly become a huge celebration of cycling in Adelaide, and for the last couple of years Treadly Bike Shop have closed Ebenezer Place to bring a little Treadly flavour to the street. This year’s event will be a showcase of all things Australian in the cycling world, and you’re invited to come down and be a part of it. MAKER will be a mini-exhibition of frame builders, craftspeople, brands, organisations and artists within the Australian cycling world, introducing new and revisiting old while allowing you to see a little more of the grassroots that make Aussie cycling great and put faces to the names. Entry will be totally free with coffee, food and drink available all day, and products available for purchase from some of the leading brands in Aussie cycling. MAKER is proudly supported by Splash Adelaide.